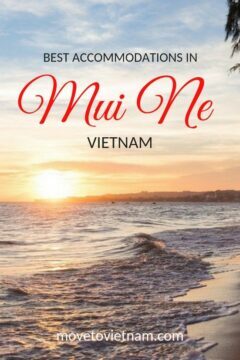 Not only for exciting sand dunes tours, sunrise and sunset points, walk on the fairy stream, and water activities, Mui Ne is also popular as a great place to relax on a resort, read a book while swinging on a hammock, and enjoy a stroll at the fishing village in Vietnam. 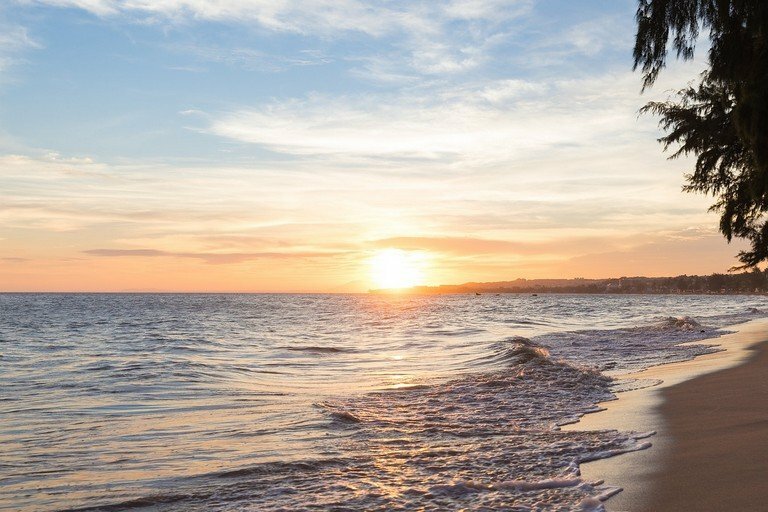 Many tourists, family travellers, backpackers, and expats head to Mui Ne to take a break from the hectic trip and life in the big cities to simply appreciate the beauty of the nature and get away from everything. It's a place to completely pamper yourself and enjoy yourself. If you are motorbiking in Vietnam, there is a big chance that you will stop by Mui Ne and explore it yourself. 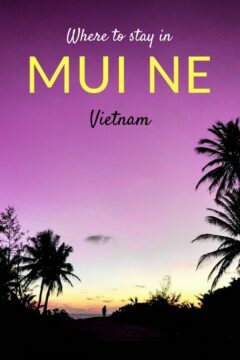 To accommodate many foreign people heading to Vietnam, we will list down the best places to stay in Mui Ne and Phan Thiet area depending on your budget and what you are looking for an accommodation in Mui Ne. If you are in a hurry, check out this comparison table of where to stay in Mui Ne and Phan Thient. We listed the best hotels, resorts, hostels, and home-stays depending on what they are best for. If you scroll past the table, you can read more about each accommodations. Under this category, you will find resorts and hotels in Mui Ne that are $80 and up. 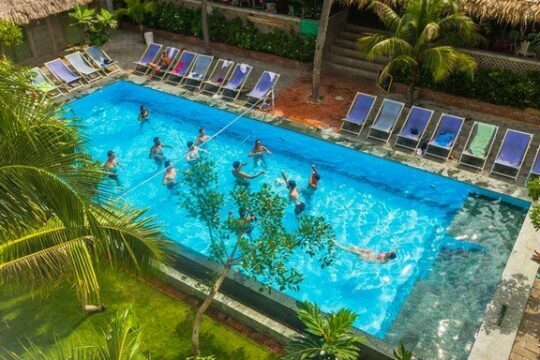 With amenities such as pool, luxurious rooms, English speaking staffs, fitness and sauna centre, and free breakfast. All resorts and hotels that are listed here offers airport shuttle bus as well. This luxury beach resort is well-located, has two swimming pools, bar area, fitness centre, and a private beach that you can enjoy. If you check the prices, it's pretty great deal for all the amenities and great features and comfort that their deluxe room offers to their guests. A fabulous breakfast is also included. This place is best for couples and those who want to relax for a few days in a very luxurious way. This beach resort is highly praised for warm and attentive staffs. It is also located very close to the fairy stream, a must see in Mui Ne. It has its own swimming pool, a fitness centre, and a bar. Most of their rooms have a sea view and well-decorated matched-up with extra amenities. Located right at Mui Ne, many guests loved the Pandanus Resort for their amazing location, great staffs, and a massive swimming pool. It is also a few minutes walk to the beach. Mid-range hotels and resorts that are listed here will have a swimming pool, breakfast included, and basic fitness room/area privately for the guests. The prices per night will be $35 but not more than $80. Bao Qyunh Bungalow is a resort and a garden altogether. A very relaxing atmosphere matched with attentive guests and a great location. The rooms are very spacious and well-decorated. The rooms are designed in a very resort-like with an artsy side. Since it started as a garden cafe, you can expect that the food is top-notch. It's exactly what you can call as you get more than what you paid for. This hotel is great if you are looking for a relaxed vibe place to spend your holiday. They have a garden and hammocks set up. The price is very affordable as well for a private room where you get a double sized bed, air conditioning, your own bathroom, and a TV with cable. This section will be divided into three, one for those who are looking for party hotels and the other is more relaxed hostels and the last is a home-stay set up so you can decide which one is the best place to stay in Mui Ne for you. You can also check our best Vietnam Hostels article. We hope that you find this list of best places to stay in Mui Ne useful. If you have any questions, please let us know in the comment section.